After A Cowardly Attack... The Last Real Man Faces Jonathan Gresham! 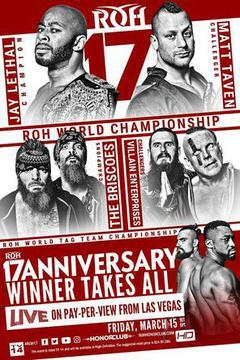 This Week On Ring Of Honor Wrestling! Brian Milonas has had enough of Silas Young and is there to save his friend, Beer City Bruiser! Ring of Honor Episode #383 Highlights. Silas Young is a very dangerous man and this right here shows you why! Ring of Honor Episode #383 Highlights. Beer City Bruiser goes for a cannon ball and sends Silas Young through a table! Ring of Honor Episode #383 Highlights. Beer City Bruiser close lines Silas Young through the ropes and onto the floor! Ring of Honor Episode #383 Highlights.